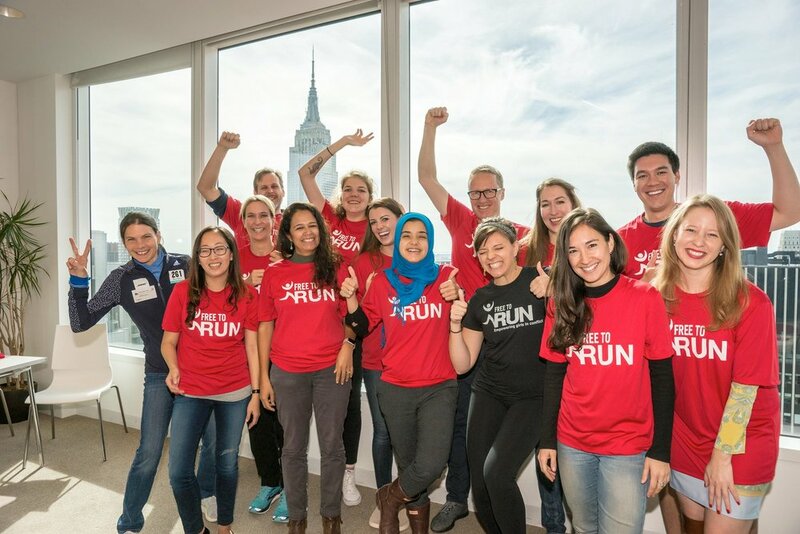 Join the Free to Run team in the 2018 TCS New York City Marathon! Do you want to run in one of the greatest marathons in the world and help one of the greatest charities in the world? Free to Run is proud to be an official charity partner for the 2018 TCS New York City Marathon. Through our partnership, we have guaranteed paid entries for a team of runners who are willing to run the marathon and fundraise for Free to Run. 🏃‍♀️Guaranteed entry into the 2018 TCS New York City Marathon. 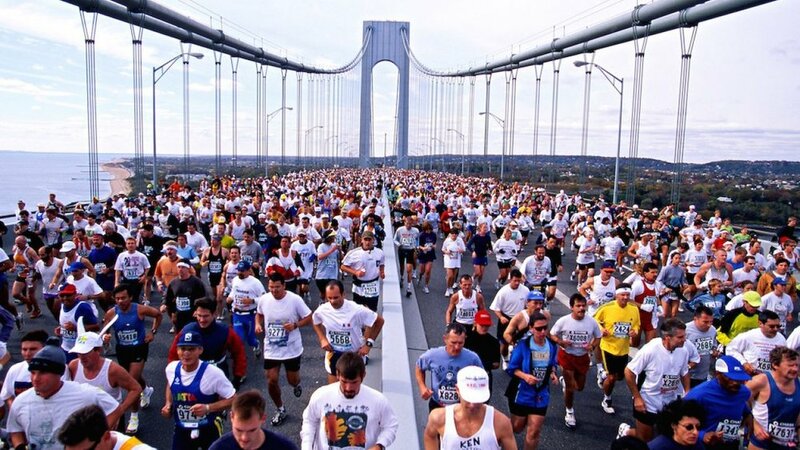 We also cover the entire race entry fee, valued at $295-358. 🏃‍♀️Online mentoring sessions with a Free to Run Ambassador. Our Ambassadors are elite athletes, recognized role models, and pioneers in the realm of sports and outdoor adventure. 🏃‍♀️Fundraising support to help you surpass your goal, including helping you to set up your online fundraising page. 🏃‍♀️An invitation to a dedicated Facebook and Strava group with our NYC Marathon team. This group will be available for questions, training tips, fundraising support, and event logistics. 🏃‍♀️A pre-race meetup the weekend of the marathon with our entire team. 🏃‍♀️A Free to Run technical shirt. 🏃‍♀️The incredible satisfaction of knowing that you're helping women and girls who are living in regions of conflict to experience the power of sports, often for the first time! Free to Run team members who accept one of our guaranteed and paid entries must commit to raising a minimum of $3,200 by November to support our programs. Your fundraising support is a tremendous gift to our organization and the people we serve. Your funds will enable us to expand our innovative sports programs in regions like Afghanistan. To get inspired, please see this story about a member of our 2016 and 2017 New York City Marathon team. To apply, please complete this application. Or, if you prefer, send us a video instead. Tell us why you want to run in the 2018 NYC marathon, and why the mission for Free to Run is important to you. Written or spoken, we would love to hear your story! Applications will be reviewed on a rolling basis until all team members have been selected. You're still welcome to join us! For a reduced fundraising commitment, you can get access to the online mentoring, fundraising ideas, technical shirt, and our Facebook/Strava group. All of this will help you to achieve your marathon goals and you'll help Free to Run along the way! 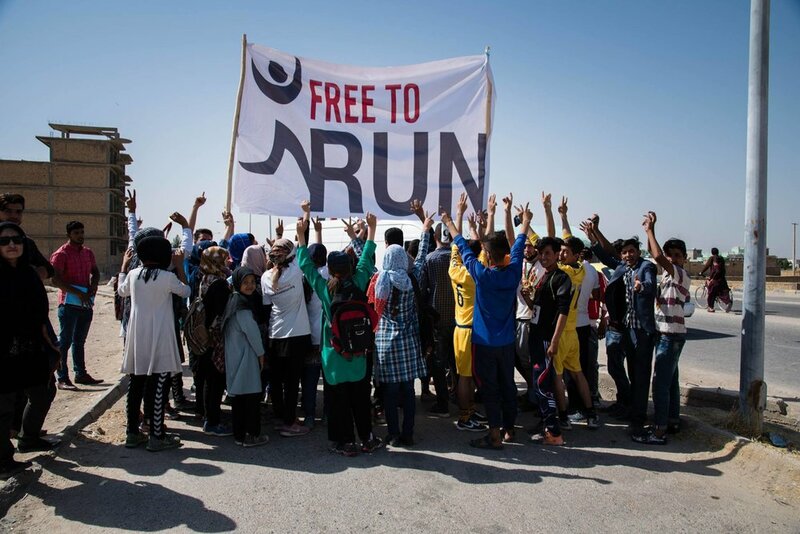 Email us at newyork@freetorun.org to learn more. See you on November 4th at the starting line in NYC!